I'm back! 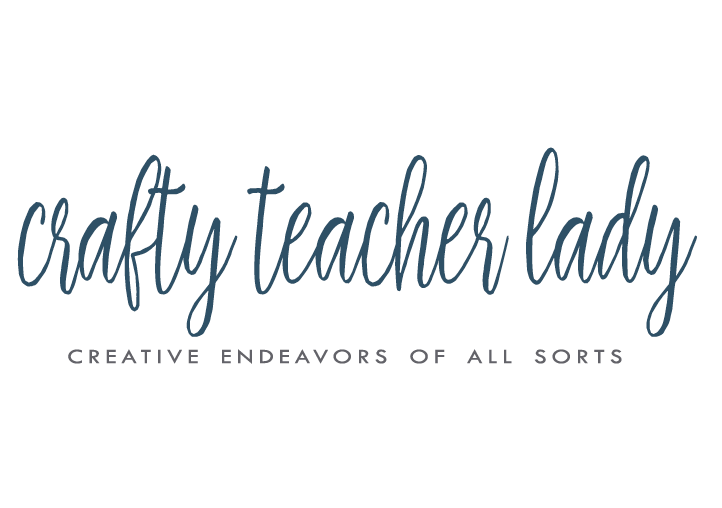 I've been devoting all my blogging energy to HerStory About History, my classroom blog, but now that it's summer (and I have a new house), I plan on devoting much more time to Crafty Teacher Lady! The house is getting her last minute finishing details in order to get the occupancy permit and I'm schedule to move in THIS weekend. I've been scrambling to finish the last few painting projects that I wanted to get done before moving the furniture in. One of the projects was adding a little somethin' somethin' to what will be the office/craft room. I had originally painted it Light French Gray by Behr but decided it was too blue so I painted it a second time in Driftwood Gray by Martha Stewart (for Home Depot) which is pictured above. 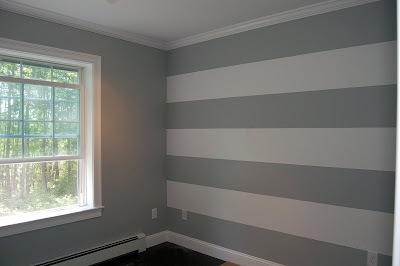 Once the room was complete with trim and dark floors, I felt it was way to 'blah' and kinda masculine. I decided, at least for now, to paint only one wall and treat it as the feature wall of the entire room. 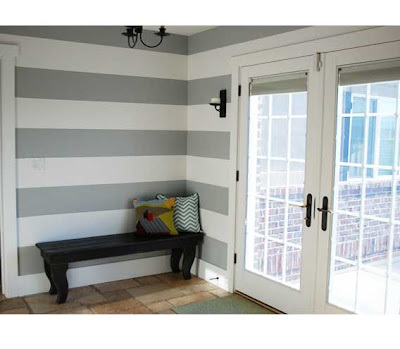 I quite frankly don't have time to paint stripes on all four walls since I am moving in t-minus 3 days. Plus, I think once white curtains are up on the window, there won't be much wall to see! So, there you have it, my adventures with stripes! What color names are the Grays you used? We got Lazy Gray From Sherwin Williams and it has a Blue tinge to it and we hate it. The room is painted 'Driftwood' by Martha Stewart for Home Depot. 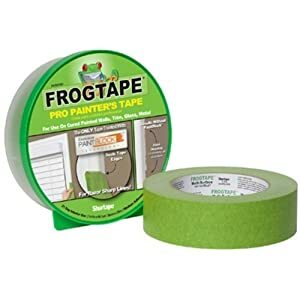 I believe the Martha line of paint has been discontinued by they can still mix it for you if you ask. The white stripes are 'Pickett Fence' by Martha, too!